Cassie 1413 wig aka Alisa wig by Mona Lisa wigs. 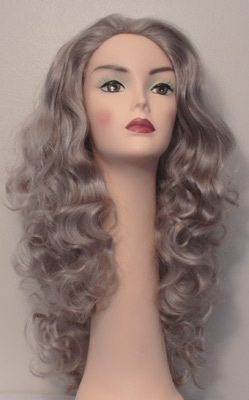 A long wavy wig with no bangs. This wig is fairly thick with a skin top. This is slightly shorter than the Lucia and a little shorter in front that gently goes to being slightly longer in the back. 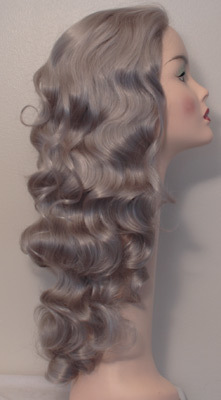 This does not come tied back and in ringlets at the bottom like the Lucia does, the bottom waves/curls are more uniform. With a skin top (a plastic scalp, for those not in the know) in the center of the front. This lets you change the part and retain a more natural look. Cosplay uses: Elsa from Frozen, we saw a gorgeous cosplay that used this wig. #130 or R147 for Ganondorf from Legend of Zelda Twilight Princess. 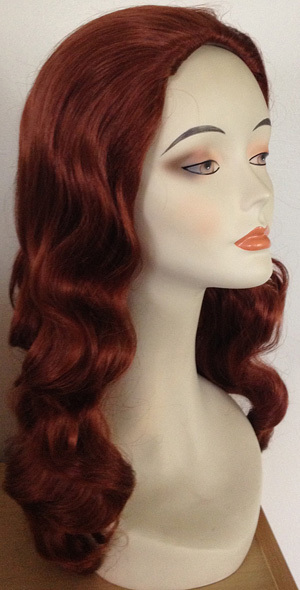 One cosplayer dredlocked this wig for Miuccia Miuller from Jojo's Bizarre Adventure. Back nape to end of hair: 16 inches.